Ganguro literally means “black-faced” (Miller 2006, pg.30) as I mentioned on my earlier blog. “Ganguro falls into the larger subculture of gyaru (from English “gal”), a slang term used for various groups of young women, usually referring to overly childish or rebellious girls” ( Grey 2009). 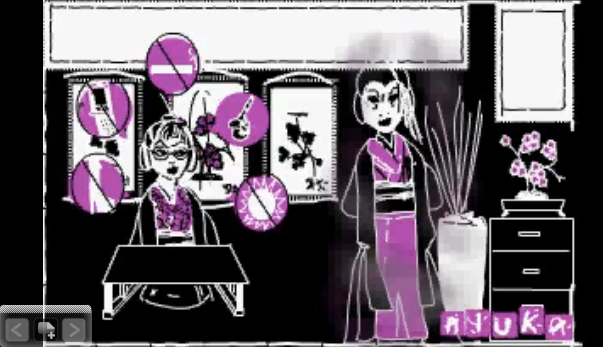 The culture supposedly peaked in popularity during the late 1990s to the early 2000s (Japanese Lifestyle 2009). It is easy to spot a Ganguro girl in Japan because of their dark tanned faces, covered with stickers, glitters, white eye shadow, false eyelashes, bleached hair, provocative and colorful clothing and high heeled shoes. Ganguro Gal” look are cell phones covered with purikura stickers, tie-dyed sarongs, mini-skirts, hibiscus flower hairpins, and lots of bracelets, rings and necklaces. Here are important information that I dug up from different websites that agree and disagree about the formation of the Ganguro. “Ganguro, with their screw-you makeup, are not trying to look black, American, or like anything ever seen before” ( Miller 2006, pg.30). Ganguro go against the grain of the usual Japanese standard of female beauty, which calls for skin as light as possible, so-called bihaku, (? ?, literally ‘beautiful whiteness’). The roots of the trend are said to be in the mid-1960s, starting with commercials/advertisements in which actresses emulated the California “beach bunny” look. Ganguro have also been linked to an emulation of African American celebrities and were described as such by the Editor of Fruits magazine. The term itself, “Black face”, seems to allude to that. Hip hop impact on Japanese youth culture with special reference to the ganguro. 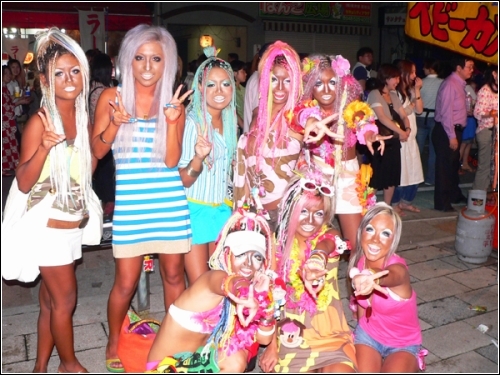 Ganguro as a new fashion style reflects the global influence of hip hop culture and affects Japanese youth ideology. Ganguro is more than a new fashion style among Japanese teenage girls; it is an explicit expression of self- identity of those who attempt to depart from traditional Japanese cultural values and social standards. Ganguro as a subculture is in conflict with mainstream Japanese culture, and although this subculture may not spread to the whole Japanese younger generation, it has socio-cultural and ideological significance in Japanese society. 1.Miller R 2006,Beauty up: exploring contemporary Japanese body aesthetics, University of California Press, California.